Here at Nine Two Productions, we are grateful for the support and promotion of FreeMeshX Global. Popularity has spread through word of mouth alone, and we would like to thank those who have gone above and beyond to note our work. 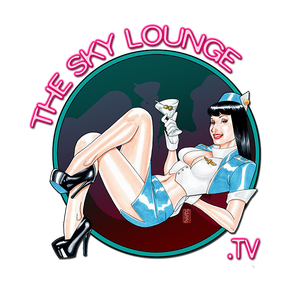 The SkyLounge has been our loudest supporter from the beginning. As a Twitch entertainer, they provide an excellent FSX/P3D stream that centers around VFR and exploration. Make sure you stop by and treat yourself to one of the finest Twitch streams available. Special thanks to OMGEdson, Sparks_Smudge, MyNoodleIsCaramel, and Live_Sparks. A major hub of all things involving flight simulation, FlightSim.com hosts an active forum along with a fantastic freeware library. You will also find reviews of new releases, in-depth interviews, blogs, and tutorials in a professionally orchestrated website. We highly recommend you check them out! Another favorite of ours is Mr. Dane Flats of the Twitch FSX streaming community. Dane Flats offers an entertainment experience that is unique from the rest of the Twitch community. Mr. Flats provides a vintage feel to his stream hearkening to the 60s and 70s of airline aviation with a large helping of humor and class. Expect to be wowed as he introduces production elements unseen in other streams, expert commentary, and his down to earth attitude toward everyone. DirkaDurka hosts one of the most respected streams in the FSX/P3D community. Known for his warmness and respect towards his audience, you’ll never feel left out in his stream. You can catch him most days of the week doing an array of streams, whether its a regional flight in a BAE -146, or VFR group flight in a Twin Otter, he never fails to bring an interesting angle to the streaming community.